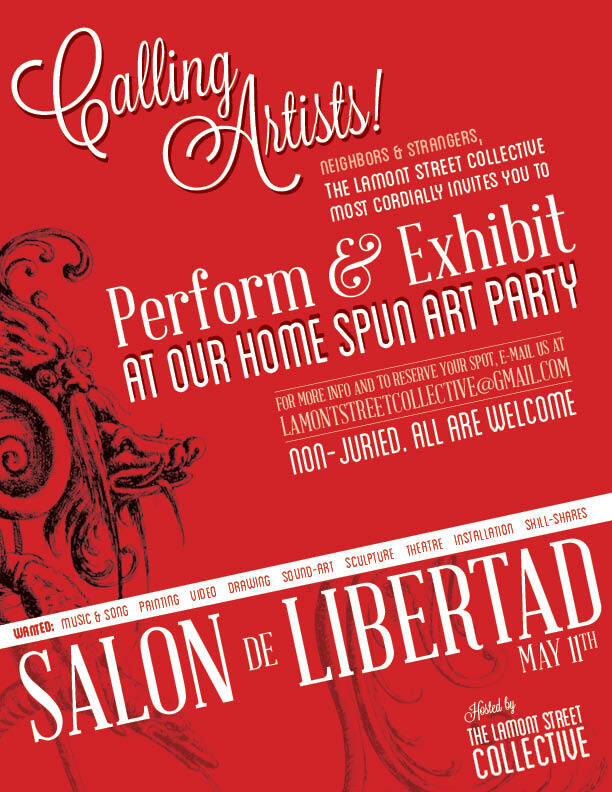 The Salon de Libertad is an all-day, non-juried community art party hosted annually by the Lamont Street Collective. This poster was distributed online, as well as around the Mount Pleasant community and greater DC. Attendance reached between 400 and 500 people over the course of the day.